The Leader's Guide for The World We All Want. 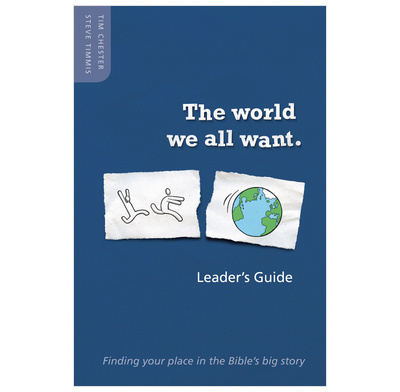 This leader's guide is designed to help you run The World We All Want as an evangelistic course, either one to one, or in a small group. It contains a helpful introduction outlining the distinctives of the course, the format, how the pictures and illustrations work, and full guidance on how to answer the questions and lead the discussion as the group reads the Bible together. It also contains outlines and transcripts for a series of seven talks that could accompany the series, either as part of a presentation during the course, or as part of a regular preached series at your normal weekly gatherings. This title is only available for download as an ebook.